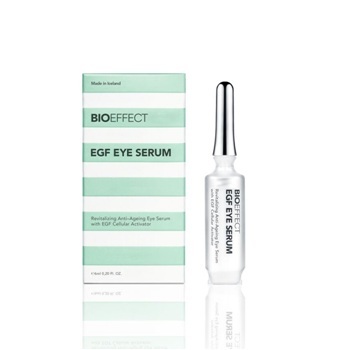 Bio Effect EGF Eye Serum is a powerful, revitalizing anti-ageing formula, specifically developed to target the delicate eye area. Clinical trials revealed that 70*% of women using the serum noted an increase in collagen intensity at the eye area. 73% saw improved elasticity, and 70% had smaller wrinkles. 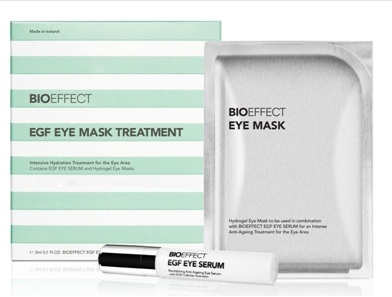 Highly activated, Bio Effect EGF Eye mask treatments work as an instant lift OR as a 6-DAY recovery treatment. For those with moderate signs of aging, these masks can be used once a week alongside your current routine – users appreciate the visible regeneration they see and value these masks for prevention. The most radical change one sees with these treatments is in the form of a 6-DAY routine. Ideal for those seeking a more dramatic or corrective outcome, EGF eye masks can be applied as a series of 6, using them daily for 6 consecutive days. Results are long lasting results (usually 4-6 weeks) especially when maintained with the EGF Eye Serum daily.